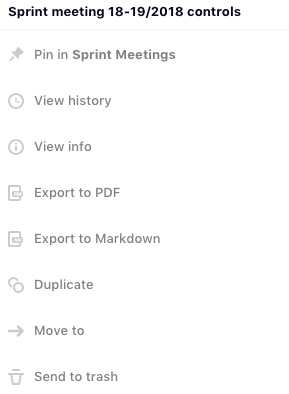 View history 🕙 where you see old versions of notes and have the ability to restore them. View info ℹ basic info about the note, the word count, the activity, the emoji use etc. Duplicate 👐 handy for templates!